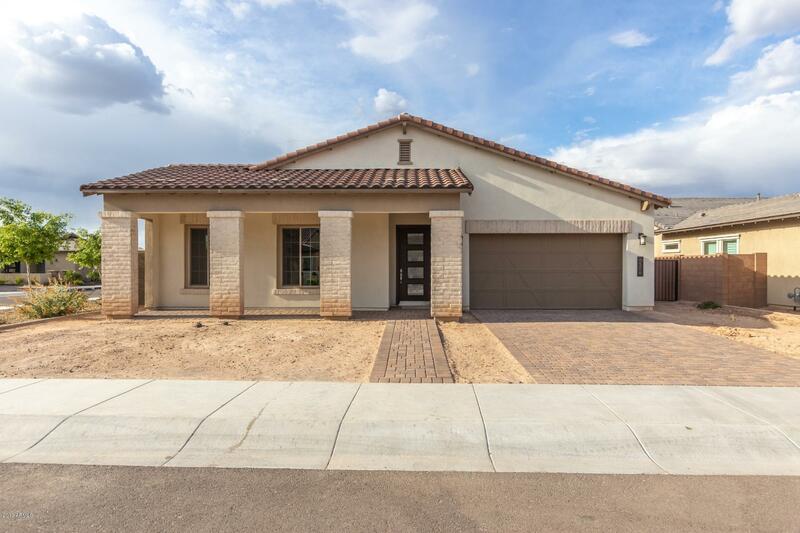 All Trailside At Happy Valley homes currently listed for sale in Peoria as of 04/23/2019 are shown below. You can change the search criteria at any time by pressing the 'Change Search' button below. 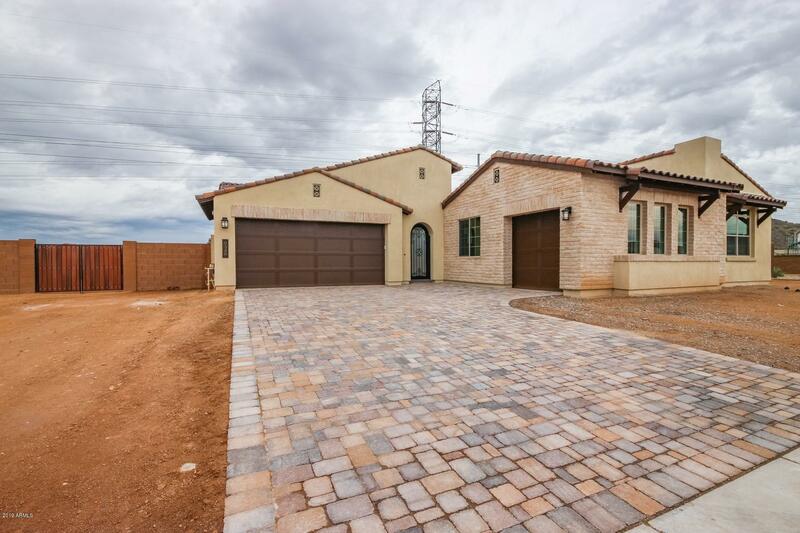 "Gorgeous new Shea home that features a flexible floorplan that's perfect for family and entertaining, boasting 3 bedrooms, 3.5 bathrooms, bonus/flex room, and 3-car garages. Enter from courtyard through Full Arch Iron Door Fiorano Design. 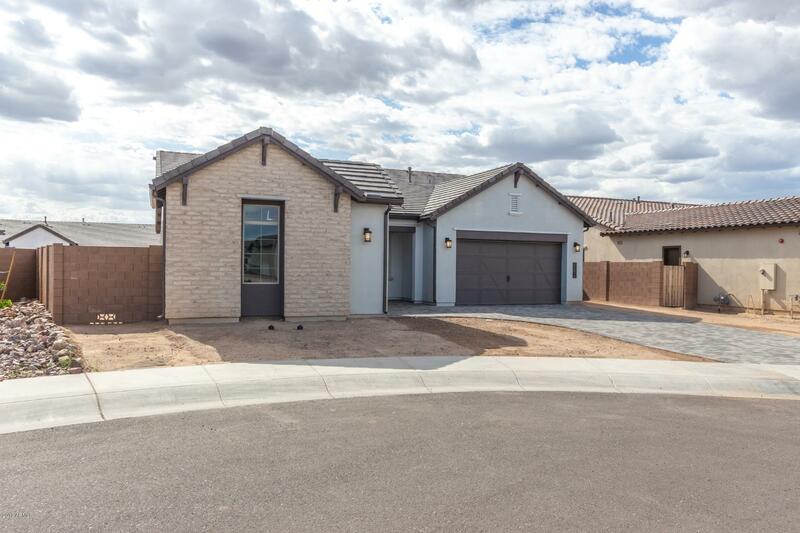 Open great room and kitchen features include coffered ceilings, floor outlet, stainless GE appliances - including 36'' GE Cafe Wall Hood & Gas Cooktop, subway tile backsplash, coconut maple cabinets, pantry, and dining nook. Master bedroom boasts spacious bath "
"Formal model home will be ready for an April/May delivery. Desirable single level split bedroom floor plan with spacious den with trendy double barn doors and quality finishes on a large lot with picturesque view instead of neighbors behind you. This Catalina home features: 3 car garage with extended depth, 2' extension at the rear of the home, gray maple cabinets, with Bianco Typhoon granite tops on the kitchen island, chef lux kitchen with gas 36'' Kitchenaid ProRange stove, glass walk in sho"
"Gorgeous new Kitchen-centric Shea home that features a flexible floorplan with courtyard entry that's perfect for family and entertaining, boasting 3 bedrooms, 2.5 bathrooms, and 3-car garage. Open kitchen features include large island, granite counter tops, maple cream cabinets, and upgraded gas stainless appliances - including wall ovens and cooktop with vent hood. Master bedroom boasts spacious bath with dual sinks, garden tub, separate shower, and huge closet with built-ins. 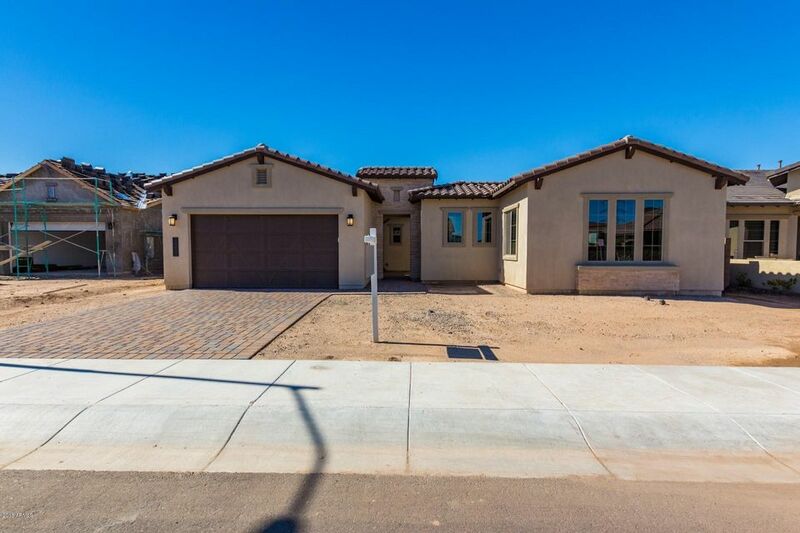 Backyard with co"
"THIS BRAND NEW GORGEOUS AND ENERGY EFFICIENT HOME IS A MUST SEE!Stunning CATALINA Open Floor Plan With A Spacious Gourmet Kitchen, Granite Countertops, Stainless Steel Appliances And Upgraded Flooring Through Living Room And Dinning Room. 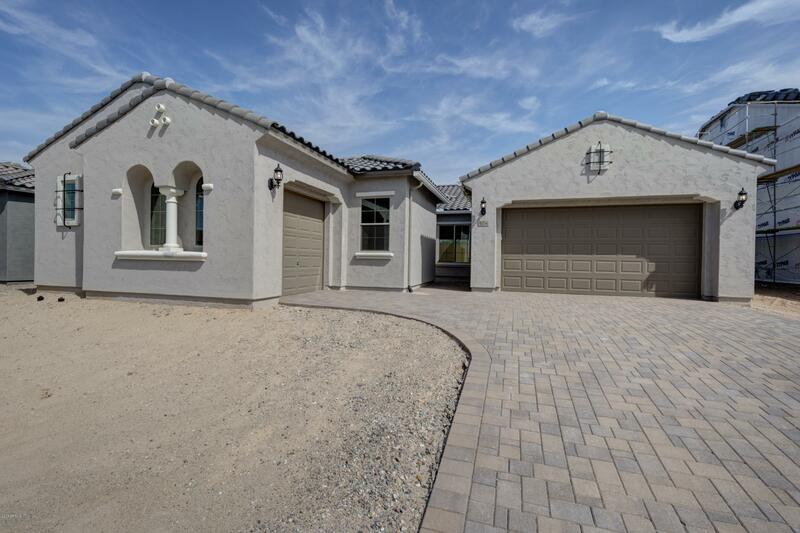 Inviting Open Corner Slinding Glass Door Leading to Backyard With Beautiful Mountain View. Lots of Added Upgrades Throughout the House Such as Paved Driveway, Backsplash Windows, Tankless Hot Water Heater and The List Goes On! It Is Minutes Away from Shops, 3"
"NEW is the word! 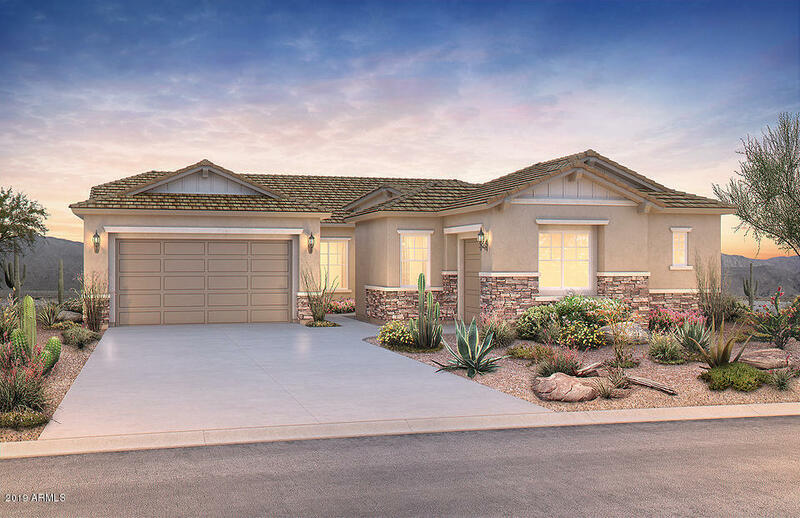 This Shea spec home features a flexible floorplan with courtyard entry that's perfect for family and entertaining, boasting 3 bedrooms, den, 2.5 bathrooms, and 3-car garage. Open kitchen features include large island, cultured marble counter tops, maple cabinets, and upgraded gas stainless appliances - including wall ovens and cooktop with vent hood. Master bedroom boasts spacious bath with dual sinks, extended glass shower with upgraded marble surrounds, and huge closet with bu"
"Beautiful and modern Shea spec home featuring a flexible floorplan that's perfect for family and entertaining, boasting 3 bedrooms, flex room, 2.5 bathrooms, and 3-car garage. Open kitchen features include large island, marble counter tops, maple cabinets, and upgraded gas stainless appliances - including wall ovens and cooktop with 36'' vent hood. Master bedroom features coffer ceiling, spacious bath with dual sinks, gorgeous glass shower that runs the full length of the master bath, and large "